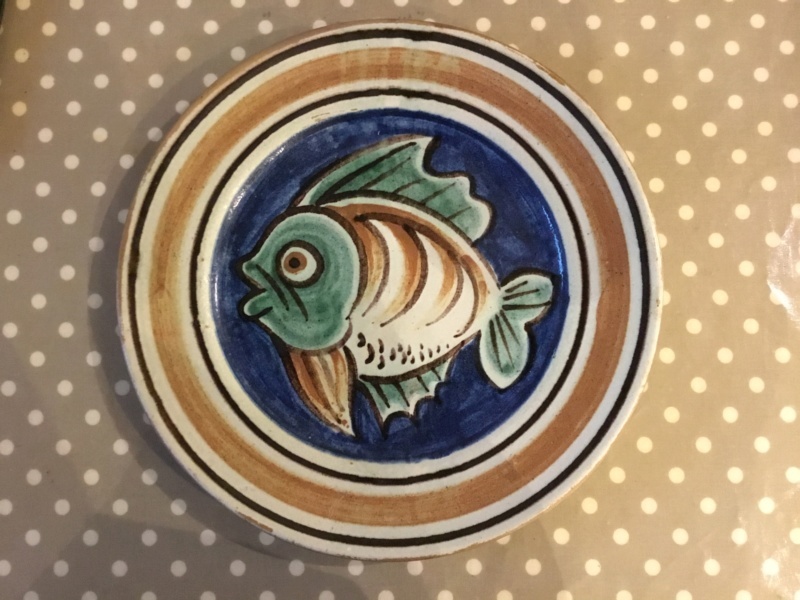 Heavy moulded plate, fish painted. 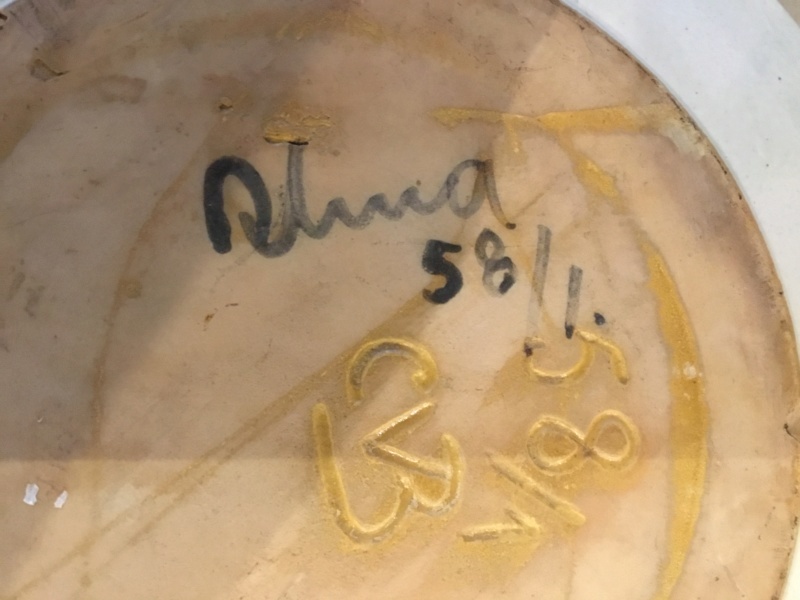 Marked moulded 58/1 CV with 3 perhaps impressed. Painter mark could be Alma? Rhea? Alina?